In the Northern Territory, crocodiles are an iconic species that attract considerable publicity and a wide range of community views and opinions regarding their abundance, distribution and cultural and economic importance. Public and political will to continue conserving crocodiles and their habitats is closely linked to the net community value of crocodiles being positive. 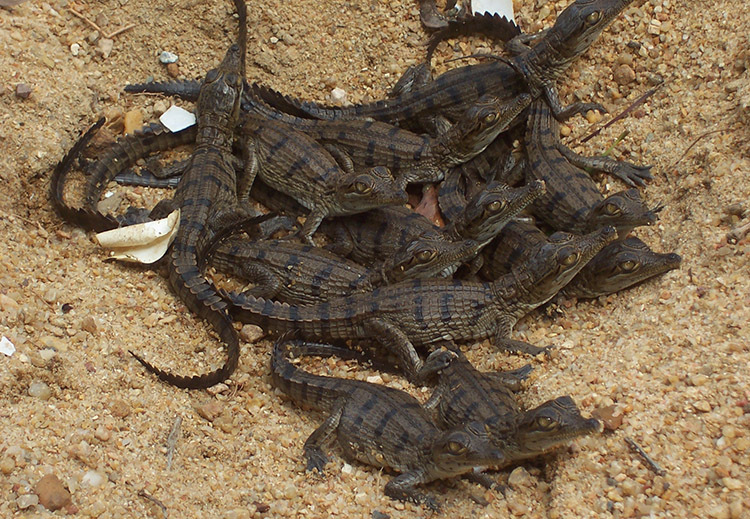 Crocodiles are an important natural resource for many sectors including Aboriginal communities, the tourist industry and the crocodile farming industry. The importance of crocodiles in Aboriginal culture is reflected in a complex system of totems and ceremonies which is still evident among most coastal Aboriginal communities in northern Australia today. When it comes to crocodiles, the Northern Territory (NT) Government takes your safety seriously, but ultimately how you behave around crocodile habitats is your responsibility. Any body of water in the Top End may contain large and potentially dangerous crocodiles. The NT Government Parks and Wildlife Commission of the NT actively manages saltwater crocodiles to reduce the risk of crocodile attack across the Top End, with the exception of Australian Government controlled lands such as Kakadu National Park. In the Top End, many people live and participate in recreation activities in and near the water. People need to Be Crocwise and know how to enjoy the waters safely. People need to understand the risks posed by saltwater crocodiles and that we can keep our families safe by behaving in the appropriate way around the water. The best way to reduce the risk of a saltwater crocodile attack is to Be Crocwise at all times around Top End waterways. We cannot become complacent. Everyone must be cautious every time we go in or near the water.